We believe that undergoing orthodontic treatment doesn’t mean your appearance has to suffer during the treatment process. Which is why we offer our Fort Worth, TX, patients access to cosmetic orthodontics. In today’s blog, we’re going to look at a unique cosmetic orthodontic solution: Invisalign®. Find out how these clear aligners offer a practically invisible method of correct uneven smiles. Braces are effective, but require metal brackets to be placed onto the front of your teeth. We then connect them with an arch wire and adjust the tension to reposition the teeth. With Invisalign®, we instead create a series of aligners made from a clear plastic material. 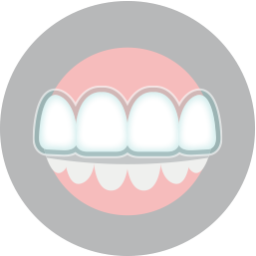 With each set of aligners, the teeth become more evenly aligned. For teens and adults alike, this is often a preferable solution to misalignment. 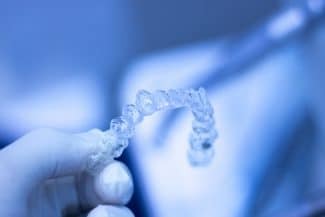 We begin with a dental examination, in which we assess the cause and extent of misalignment to see if clear aligners are the best option for your smile. If so, we take detailed impressions of your smile using digital technology. 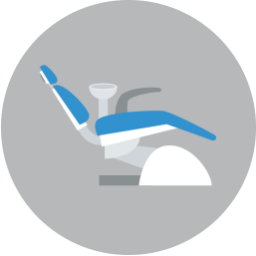 At a lab, experts will create the aligners using the impressions we provide. Once complete, you will begin wearing a set to start your journey to a more even and attractive smile. Being custom-made, they offer a comfortable fit. Each day, you will wear a set for between 20 and 23 hours. About once every two weeks, the patient then moves on to the next set. Over the course of about a year, the alignment of the smile improves. Teens may need to wear them for around 18 months, as their smiles are still growing and changing. One benefit of the aligners is their removability. For example, you can take them out prior to brushing and flossing your teeth, which makes caring for your smile much easier. You don’t have to change your diet, as the aligners can be removed before each meal. As long as you continue to wear them as the dentist prescribes, you can also remove them before a special occasion, such as a graduation or a date. If you have any questions about our Invisalign® clear braces, or if you would like to schedule a cosmetic consultation, then contact our team today. We want to help you enjoy a healthier smile and improved alignment. Does Your Smile Need Clear Aligners? Don’t live with an uneven smile, talk to our team about our cosmetic treatment options. To schedule your consultation and learn more about the Invisalign® system or any of our other cosmetic orthodontics, please call Lake Country Orthodontics in Fort Worth, TX at (817) 236-7846. Our office proudly serves patients who live in Haslet, Azle, Saginaw, and all surrounding communities.